Welcome to my CTMH blog, and my entry for the February 2018 Joyful Stars Blog Hop. If you have arrived here from Debi's blog, That Might Look Good on a Card, you are on the right track! 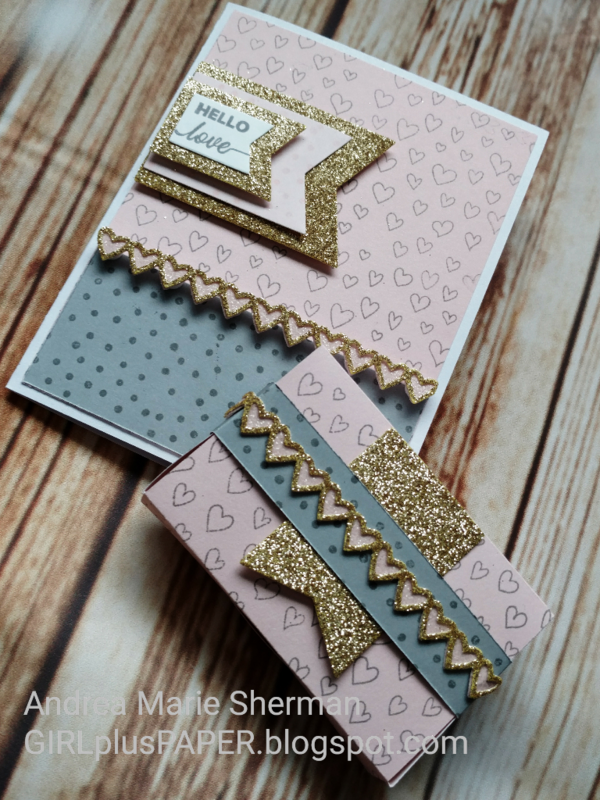 For my blog hop project, I have designed a card that used many of the products featured in the February Pretty In Pink special. 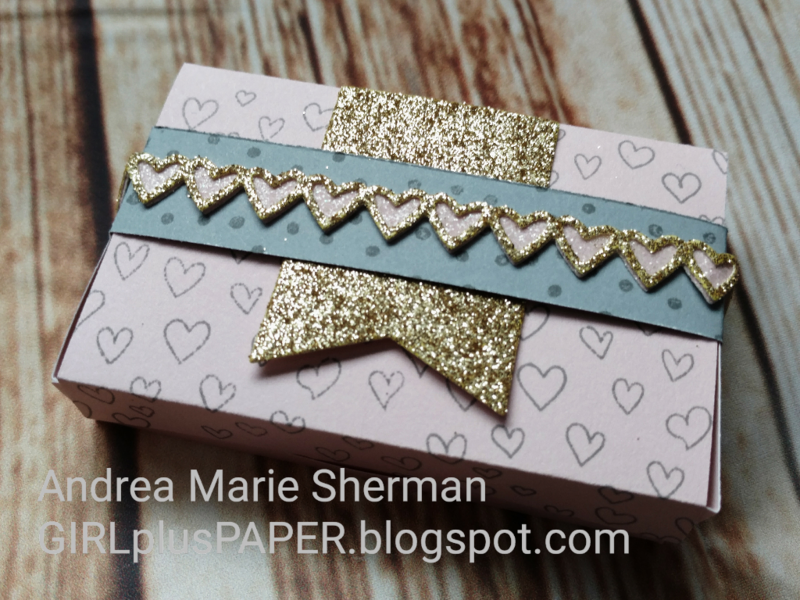 I wanted to pay special attention to the adorable stamp set called Banner Love. I had seen some posts asking if anyone had made cards with the set yet, so I set out to make one. 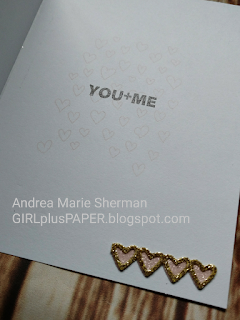 I stamped both the Pebble and the Bashful cardstock with hearts and dots found in the stamp set. 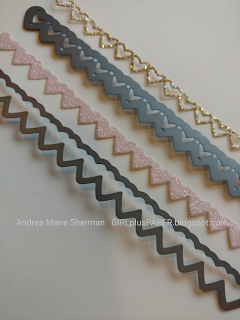 I cut out the banner layers using the Thin Cuts Basic Banners set, and used some Gold Glitter Paper which is also included in the Pretty In Pink promotion. 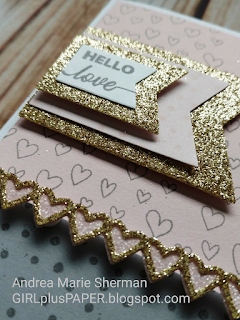 Thin Cuts Basic Banners are the perfect tool to use with the Banner Love stamp set! The card still need a little something, even after I added the sentiment on the banner pieces, so I pulled out my Thin Cuts - Heart Border. This set has two pieces, as you see in the photo below, so I used Bashful Glitter Paper along with Gold Glitter Paper to make my border. I can't begin to tell you how much I love this combination!!! And the Pretty In Pink card needed a partner! So I pulled out my Thin Cuts Gift Card Box and whipped up a box perfect to put in a little gift or a gift card. Isn't it cute? Here is a close up view of the card details. It looks like it took forever, but it came together so effortlessly with the help of the Thin Cuts! I hope you have enjoyed your time here at GIRLplusPAPER. Feel free to pin this card to your Pinterest boards if you would like, or become a follower of my blog so that you don't miss out on any of the projects in between our monthly hops. Please hop along to see what the very talented Michelle has created for you over at her blog! Beautiful card and Thin Cut Box. Love the details and papers. Thank you Michelle! I am going to be addicted to making those boxes! What a great way to use those "banner" stamps as backgrounds! So pretty! Thank you Krista. I really wanted to make a card out of that set to show it off! Oh my goodness - your card and box are fabulous as usual. Love all the glitter layers and the heart border. Thank you very much Betty. I am kind of in love with these projects. I keep looking at them again and again. They would be great for shower or wedding favors, wouldn't they? Wow! Stunning projects Andrea. 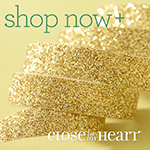 I think I love that bashful and gold combo now too!